On Thursday 14.12.2017, Magistrate Mohammed S.M. Samsuddin of Mullaitivu declared Prof. S. Ratnajeevan H. Hoole of the Election Commission not guilty of the offence of speeding on 26.06.2017 at 80 kmph where the limit was 70 mph. The case, where Prof. Hoole represented himself, raised several issues of interest. The language of the courts in the North by the Constitution’s Article 24, is Tamil. When the police prosecuted in Sinhalese, Prof. Hoole objected, demanding a trial in Tamil. When the police said they did not know Tamil, Hoole asked them why they came to the North knowing that the official language is Tamil. “Is it to lord it over us?” The judge said Tamils are not joining the police and Hoole’s rejoinder was that Tamils cannot work with such nasty policemen. There was tension as the policemen angrily protested. Finally a policeman translated and Prof. Hoole again objected that the man was helping witnesses by speaking to them in Sinhalese. Judge Samsuddin then assured Prof. Hoole that he would check on the translation. The sergeant had claimed he knew only Sinhalese but his constable spoke Tamil well and that Prof. Hoole had told him he had just bribed a policeman in Mullaitivu and offered Rs. 1000 to him if he would let Hoole go. He added that it is angered by this that Hoole had filed a complaint at the Mankulam police. Asked if his OIC had queried him about it, he said no. The Constable began testifying in Sinhalese and when Hoole insisted he should testify in the language of court, he claimed not to know much Tamil. He too had not faced questioning. He testified in Sinhalese about the offer of a bribe by Hoole and that the conversation was in Tamil. Asked to repeat the offer of the bribe in the words used by Hoole, he could not. However, the judge said may be he can understand what was said but cannot repeat it. He said the radar was certified by Moratuwa University. The Constable was then asked for the route from Mullaitivy to Colombo. The answer was through Mankulam or Puliyakulam. The follow up question was how someone going from Mullaitivu to Colombo was caught in Muruhandy. There was no answer. On the radar machine, Prof. Hoole produced his own electromagnetics textbook by Oxford University Press explaining how radar works and elaborated on ghosting and shadowing errors. The sergeant who ticketed him produced a certificate from Colombo-based ACE certifying to the reliability of the machine for the three months of the date of certificate. The radar ID was not on the machine. On cross-examination the Constable was asked how, when even goods by world-class companies break down while on warranty, any scientist of decent credentials could say the machine will not breakdown for three months. He produced evidence from the Australian Police and the International Chief of Police Associations, both saying that a radar machine has to be tested before and after a policeman’s shift through calibration to ensure that it was in good order when speed was measured. Because of various errors a recommendation from the Crown Prosecution Services in Canada was produced advising that no one be ticketed unless he was 10% above the speed limit pus 2 mph. The ‘Insects in Ceylon Tea export to Russia’ is in the news. RSH H has the analytical mind to unravel the mystery. Of course ‘they’ would not want anyone to look for the truth! So Tamil cops are going to be honest? Really? Very, very,honest? As honest as Aloysius, and Mahendran who did NOT rob the Central Bank? Great observation, which can only come from such HONEST members of an honest race called the Tamils! Tamil cops are dishonest, is that why the Sinhala/Buddhist bigots never recruited enough of them since 1960s? The state wanted the extra income be paid to the poor Sinhala/Buddhust fascists cops. Not enough of Tamil cops for your liking since 1960. Then how come Rudra Rajasingham and Anadarajah appointed as IGP? That’s the Tamil mafia at worK. After Rajasingjam and Anasarajah were appointed there was a serious increase in the number of Tamil police recruits. Same when C Loganathan was GM of Bank of Ceylon 75 % of staff employed in the Bank were Tamils. So don’t talk about discrimination. These Tamil buggers given half a chance will discriminate against others beyond belief. There was a prof Mailvaganam in the Ceylon university who awarded more marks to Tamils and even gave them first class Hons though they were utterly incompetent! Percy AKA Edwin, You are not correct about Tamil IGPs. Rudra Rajasingham was denied the post of IGP at the first instance when Ana Seneviratne was promoted above him. Subsequently when world focus was on Srilanka about racial discrimination, Rudra Rajasingham was appointed that too only for two years, During 1983 violence Rudra Rajasingham was not permitted to take action to control the riots. As for Anandaraja again was appointed for just one year to hoodwink international community that there is no racial discrimination. Since independence in 1948 until now Tamils have occupied the post for only 3 years. There will not be another Tamil IGP for the next 25 years. Your accusation about Prof. Mailwaganam is false. However there was a racist Sinhala professor of Medicine Prof. Rajasooriya who deliberately denied a distinction in Medicine by one mark to Sreeharan, who later was appointed professor of medicine of Jaffna medical faculty and due to disturbances left Srilanka for UK in 1984. When he applied for the post of lecturer of medicine to Colombo medical faculty he was not given the post saying that he did not have a distinction in medicine. For your information Sreeharan obtained first class in all the exams – 2nd, 3rd and final MBBS with distinctions in all subjects except Medicine. Also prof Rajasooriya refused to allow translators for Tamil candidates examining Sinhala patients while allowing translators for Sinhala candidates examining Tamil patients. You are a confirmed racist who comes out with wild allegations far from the truth. Sankara no lingam? You say thar Rudra Rajasingham was appointed only for 2 years.You would probably want him appointed for life. You say that he was not permitted to take action during the 1983 riots.He was the IGP and vested with powers under the law. If he did not carry out those powers he should have been dismissed. There is no point bleating about not being allowed to use his powers. He was then basically a coward unfit to hold the post of IGP. I m afraid I don’t anything about this Sreeheran probably a relative of yours for whom you are lobbying. Typical Tamil communalist. Percy AKA Edwin, with no progress down under, Rudra Rajasingham was prevented to take action by Cyril Mathew et al. When he went to meet JRJ, he was stopped at the gates and prevented from entering the house. When someone points out any injustice done to Tamils, racists like you come out with rubbish. If you do not know what happened to Sreeharan, it is your problem. Even during ward classes Prof. Rajasooriya used to come out with racist remarks on Tamils. If you ask Tamil student t that time, they will tell you exactly. Percy, you are talking utter rubbish. Professor A.W.Mailvaganam, my teacher was never such man. He has given 1st class to many sinhalese. Prof Osmand Jayaratne, Prof Stanley Kalpage and Prof M.L.T. Kanangara all excelled under him. He was a strict disciplinarian and his awards were entirely on merit. That is why he was a member of the UGC and was awarded a Vidhya Jothi by President Jayewardene. I know personally how he wrote recommendations for many students of different communities to enter Cambridge University. Remember all those who excel in exams don’t excel in their career and vice versa. Practical application of knowledge is different to theory. Percy, because of your racist nature that Sri Lanka is behind Bangaladesh today. If Sri Lanka had retained the good tamils and fair minded sinhalese after 1960 (without they migrating), we would have been another Singapore. Sanjeevan for your info Osmund Jayaratne DID NOT get a first class. If he was a Tamil he would have got one. Maila was a well known communalist and despite that the govt recognised his capabilities and gave him his deserved recognition,something a Tamil govt would never do. You say you knew him personally so he must have shown you the letters of recommendation he wrote! How else would you know? So much for confidentiality of your learned professor. What a terrible problem this steady stream of emigrants is. I’d blame the emigrants, too. they’ve got this naive mind-set, and when they do return for the occasional ”holiday” here they pretend that they’ve led a fantastic life there, when the reality was probably different. Percy, This is the record. S.Gnanalingam and Osmund Jayaratne both Turnour prize winners of Royal College Colombo, both born in 1924 graduated with a Physics. Gnnalingam got a first class honours and Osmund Jayaratne did not get a first class but would have got something close to it. At Cambridge he obtained a masters degree and doctorate, and won the Charles Lamb Prize in Electrical Engineering. In 1949 he joined the Cavendish Laboratory of Physics at Cambridge, where under the direction of I.A. Ratcliffe FRS he carried out research on radiowave propogation in the earth’s atmosphere. 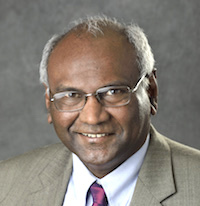 Gnanalingam pioneered the development of a new technique for the detection of weak echoes from the ionesphere. In 1952 he received the Coutts Trotter Studentship in Experimental Physics, awarded by Trinity College for the best original research in Experimental Physics and thereafter was elected a Fellow of Trinity College, Cambridge. Educated at the Royal College, Colombo where he won the Turnour Prize and came second in the island in both the Cambridge Senior Certificate Examination and the London Matriculation Examination. He entered the University of Ceylon in 1942 and graduated with a BSc special in Physics. Thereafter he did his PhD in Atmospheric Electricity and Cloud Physics at the Imperial College of the University of London. His thesis supervisor was Prof. Basil John Mason who later became the Director General of Meteorological Office. So, both gentlemen are extremely clever but Gnanalingam would have been better. He has it in the genes being the son of Professor C. Suntheralingam, Professor of Mathematics and Member of Ceylon Civil Service and Indian Civil Service. Gnanalingam’s sons and grandchildren are themselves from Cambridge and Stanford. There is no racist nature in the decision. There were years Maila awarded a Sinhalese a first class and a tamil a second class. So, don’t run to conclusion that he favoured tamils. During my association with him, he never uttered anything against a community or religion. Yes, Sinhala_ Man. I agree, but if you are well skilled you can do well in the new country. Indrajit Coomaraswamy, Radhika Coomaraswamy, Shantha Devarajan (Chief Economist, World Bank Middle East Africa region), Rohan Weerasinghe (Chief Legal counsel Citi Bank) are all children of parents who were unhappy about the political changes in late 1950’s and 1960’s and left the country. But they have done well in life. The people who are frustrated are those who have migrated late in age and cannot adapt to the new environment. A note to Percy: Sriharan is a top doctor, was Senior Vice President and Global Medical Director to Glaxo in London, Visiting Professor Kings College, University of London, Visiting Professor University of Alberta, Canada, Advisor Medical Board of Examiners, USA. If you ask a person who qualified in Colombo Medical Faculty in the early 1970’s they would say he was able to register the lectures by just listening and there was no need to refer to the notes. Sanjeevan.Thanks for the note on Sriharan. Is he BTW an Old Royalist? As for Indrajit C his fathe Raju did not go anywhere. He joined the UN from SL and returned to SL after his retirement. They are decent Colombo Tamils quite unlike the crude people in the North. FYI Raju’s f-I-l Wijeyeratnam was Mayor of Negombo and the Coomaraswamys had no links with Jaffna and can read and write Sinhala fluently. Indrajit himself after graduating from Cambridge returned to SL and worked in the Central Bank and then at the Cwealth Secretariat in London? His wife Tara is a Sinhalese.his sister Radhika also with a similar background is different and has strong LTTE sympathies but thankfully now sidelined.I think Devarajan’s father was a Civil Servant who also got an international job and not because of any political changes in SL. In fact many Sinhalese, Tamils, Muslims grabbed any opportunities in the UN family of agencies as the terms were so lucrative. The most illustrious Ceylonese employed by the UN was Gamini Corea Sec Gen of UNCTAD then possibly Raju who rose to be Asst Secy General Jehan Raheem Director UNDP for Asia All BTW old Royalists. I know these are absolute non-sequiturs, but they do emphasise one thing. If you belonged to a certain social class you could rise above petty squabbling, and you’d end up a genuinely sanguine guy who spreads happiness all round. Percy refers to Indrajith Coomaraswamy’s wife. Her father, Chandra de Fonseka, bought BACK a house which he owned before working for the FAO. This was in Bandarawela, only about 400 yards from my home. Tara was an only child, so I met both her (often) and Indrajith occasinally in the 1980s – until both the old couple died – must have been two decades later. They are buried there. Yes, wonderful people. Tara’s mother was a Jaffna Tamil actually – but it was a Sinhalese family, with knowledge of Buddhism. But Chandra’s funeral was a non-religious affair. The house (with the graves) was left to Ampai Anand, a very young Thai girl whom Chandra and wife brought back from Thailand. One can go on and on! To get back to the Hoole article; yes, where ever possible we must rise above petty bickering on racial, linguistic, and religious lines. It is not always easy, however, to communicate this sort of idea to those who are not interested in anything other than the here and now of getting enough to live on. Hoole’s main concern must be now not with traffic cops, but with getting the elections conducted. Those two graves are in the Bandarawela Municipal Council. I’m further from the town than that, but I too, am in Bandarawela. CLOSER than Chandra’s house and graves to the town is the home of the loquacious (meant positively) Dr Neelamani Hewageegana. Now that is in the Haputale Pradeshiya Sabha, as Ward 1 of that council: Kahattewela. Why? Because W.P.G. Ariyadasa, and after that W.M.J. Lokubandara wanted some Sinhala voters in the Haputale electorate. Likely From a Colombo raised family rather than Jaffna..her sister Janet was the first female to be trained as an airline pilot and settled down in the UK. Taras father Chandra former CCS was with FAO in Bangkok for many years. A wonderful family indeed. I think that house in which Chandra and Leila lived out their last years belonged to Chandra’s cousin Padma de Fonseka who was a Senior Exec at BCC those days.the house was called Padmasiri or similar name. Padma too may have passed on by now,Ariyadasa befriended Paddy Newell who owned Roehampton. Paddy lived alone and was a known homo. After he died Roehampton originally about 400 acres of Haputale tea was sold by the executors and Ariyadasa managed to get a 50. Acre block. I wonder whether Ariyadasa is among the living. He did not contest the 1977 election though he was Min of Health from 1970 to 77 in the Sirimavos Govt. Percy, you blasted me when I mentioned about what happened to Sreeharan and now you are accepting it when someone else confirms it. I always place the correct picture. Sreeharan was my contemporary at Colombo medical school. He is an old boy of St. Joseph’s college, Colombo and probably the best student produced by the school after Fr. 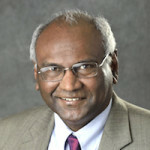 Peter Pillai former rector. Sreeharan obtained distinctions at O’level in 07 subjects in 1962 (missed in Latin) and was placed first in A’level Bio stream. His record at medical school was matched only by Kumararatne who was from St. Thomas’ college Colombo. Your statement Coomaraswamys are not from Jaffna is false. Raju’s father Chellaph Coomaraswamy is from Aiyanarkovilady, had his primary education at Hindu college Jaffna which was near his house and later at Royal college Colombo, and his mother is from Nallur. He served Jaffna as district judge in 1933 and as government agent of northern province. Subsequently the family were in Colombo. Please check facts before coming out with your stupid comments. Indrajit Coomaraswamy had his education at Royal college in Tamil medium and left for UK in 1962. Had he been in Srilanka he would had to do his higher education in Tamil. They may be able to speak Sinhala, but to say that they were able to read and write fluently in Sinhala is not true. For your information the so called decent Colombo Tamils you are mentioning, all of them have had their roots in Jaffna, for which they are proud of. Sakkaralingam I agree with you that most if not all Tamils in Colombo originated from the North,and that includes the Coomaraswamys. The point is that when two or three generations live in Colombo they get transformed into decent human beings and in most cases like Coomaraswamys shed their view of the world which they saw till then through racist eyes. I don’t know you but my guess is that your parents may have been the first generation of your family to live in Colombo. Another point worth mentioning is until 1826 Tamils and Muslims were prohibited from owning land within the Fort and Pettah. That rule first introduced by the Dutch and continued by the British until it was lifted in 1826 may have been introduced to prevent the city from being infested with ghettoes. “The point is with two or three generations living in Colombo they get transformed into decent human beings” is a calculated comment that can only spring from a sick, prejudiced mind. You are clearly a man with Colombo society roots – but highly jaundiced by deepseated anti-Tamil venom. Which I believe is correct although you may not approve of it. I do not harbour any deep seated anti Tamil feelings, but can see the difference between the gentile Colombo bred Tamils and their Northern counterparts. I do not see such a stark difference between urban and Rural Sinhalese.The Jaffna bred Tamil for instance is well known for their lack of hospitality and their crude social manners not evident at all in their Colombo counterparts. Please remember every human being is decent when born and is corrupted only by environment. So to say that Tamils when living for two or three generations in Colombo get transformed to decent human beings smacks of racism and exposes your low upbringing. For your information, on my mothers side I am a third generation Colombo resident. My mother was educated at St. Bridget’s convent the best girls school in Colombo during the days of Sirimavo. My father was educated in Jaffna College the first school in Srilanka, (older than Royal) and at Colombo University, a contemporary of Prof. Mylwaganam. My father had been resident in Colombo since 1931. My paternal grand father was a station master, a high post in those colonial days for natives, and served in Sinhala areas and died in 1927. At Royal we mingled with all ethnic and religious groups and understood each other. Even now my Sinhala classmates are feeling sorry that they have lost almost all Burgher and Tamil classmates due to the political developments in the country. How can the city become only infested with ghettos with Tamils and Muslims. Wanathamulla the oldest slum town in Colombo is 100% Sinhalese, which counters your statement. Good on you Sankaralingam living in the South must obviously have had some beneficial impact on you, although you still seem to have a narrow view of the world. If the so called reconciliation is to take place in SRI Lanka minorities should accept the fact that the majority too has rights. Constructive critical comment is a sacred democratic right. Decent and responsible society is expected to engage in this right in fairness and responsibility. “Scurrilous”!! I knew that LTTers were obnoxious but didn’t know that it was a profanity to be labelled as one.! As for Radhika and her UN assignments please would you enlighten me on which UN assignment she is currently working on, as I was told that she is currently available for talks by whoever wants to listen to her. I expect Percy as a responsible citizen brought to the attention of GoSL “the ample evidence” he suggests he has on Radhika’s links to the LTTE. If he has not, I am afraid, he does tremendous harm to the good lady’s good reputation. Jayantha Dhanapala and Radhika – ex-senior staffers of the UN from Sri Lanka – are called to handle special assignments even after their tenure, which is standard procedure there. Ex-UNSG Kofi Annan was called upon to assist in the Syrian and Rohingya issues in recent times is well documented. Iam glad that you mentioned Dhanapala a man who worked tirelessly for YAHAPALANAYA with some othe pseudo intellectuals labelling themselves the Friday Forum. They posed as the saviours of SRI Lanka from the clutches of the Rajapakses but in reality drove the country into the valley of death. Yeahalapanayas have bled the country dry. Dhanapala was Duly rewarded for his dirty work by being given a top sinecure and he is living happily ever after.nary a word about the massive scams that are ruining the country.For those with short memories Dhanapalla was in the SL overseas service who in the course of his work made a few friends in the UN community and on that score demanded from the then F M Lakshman Kadirgamar that he be nominated for the UN secy gens position!! That was the joke of the century! Lakshman of course politely declined as SL has its own international obligations by the various blocs and alignments with whom consensual arrangements have to be made re the Sec Gens post.The swollen headed JD then resigned and offerered himself as a candidate and was knocked out in the first round itself. That knock out blow would have brought anyone to his senses but not JD with his inflated ego. One word to describe it all SCUM. Gnanalingam and his achievements are irrelevant to what is being discussed here. You made a false statement implying that Osmund Jayaratne was helped to obtain a First Class by Mailwaganam. That is untrue. Further it was Mailwaganam who had Osmund removed from the staff as a temporary lecturer, for participating at a May Day rally. Everyone knew that Mailwaganam was hell bent on denying Osmund a well deserved first, and it was years after Mailwaganam left that Osmund got back on to the University staff.Mailwaganam may have not uttered racial comments, but he worked insiduously to favour Tamil students.Sanjeevan goes on to talk about other matters irrelavant to the issue at hand such as Gnanalingam.s children. BTW I knew both Gnasna and his brother Satyalingam who was managing his poultry farm at Aturugiriya, which again is irrelevant but I add to the piffle of Sanjeevan! The policy makers of the traffic police must take note of this ridiculous and wicked situation on A9, unless it is their intention. They should have radar monitors showing the time and date of the speed offence and better the car’s picture as well. How stupid can the police get? I know a person who was going at 105 kmph on A9 and the police showed 80 kmph as they did to Prof. Hoole. He then understood what Prof. Hoole was writing about. They look at the number plate for an NP licence before coming to charge the driver. An excellent Sinhalese driver driving a car with a NP plate was caught by surprise twice on one ride to Peradeniya, when he was stopped for meaningless offences. He said it was the number plate! Another one stopped a Tamil driver for swerving the car slightly onto the middle block line when a lorry stopped dead in front of him because of a construction in front. When the junior policeman agreed the senior fellow said they are Yarpane minisu ney! in such a nasty way as if the war never ceased. Since a spot fine is involved, Tamil drivers just give the money without a word and unable to understand or speak Sinhalese flee without asking for a receipt guilty or not. Radar readings without time or date or picture should be stopped. Shame on the IGP to allow such radar guns in the hands of wicked and crooked police men.